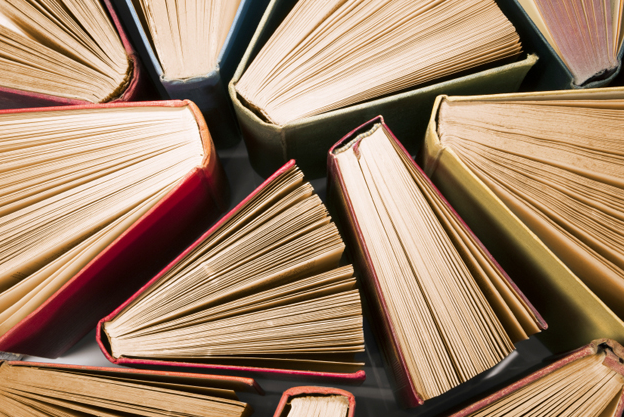 Check out if you and your friends have the same reading taste. 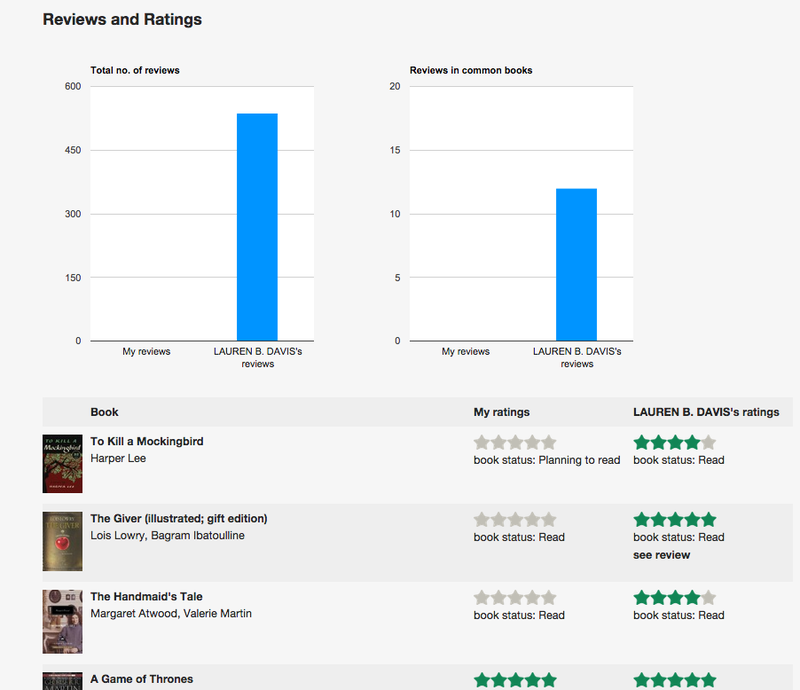 Now you can compare books with your friends on BookLikes. You’ve been asking about reading stats and book comparison, and here they are! Recently we’ve launched reading challenge statistics and now it’s time to explore if your BookLikes friends are keen on the same books as you are. The book comparison will also allow you to sneak a look at your new followers' shelves. 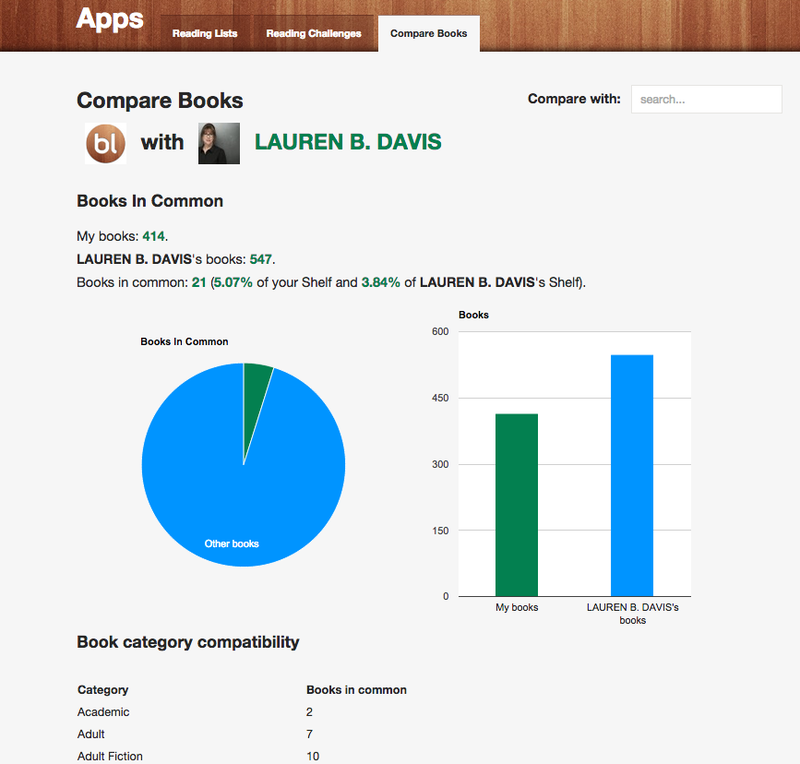 New feature Compare Books can be found in the new tab, Apps, which presents now three features: Reading Lists, Reading Challenge and Compare Books. If you wish to update your challenge or create a list make sure to go to the new place in the menu, Apps. You can compare your shelved books with any of your Followings or Followers, just type in a blog name or a username to see the results. 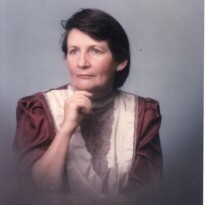 When you choose a blog to compare all data will be counted and presented on the page with the book details, reading status, rating stars and reviews.